See Below for schedules. Best time to start learning lip reading is BEFORE you need it! Never too late to begin, though. Contact Lion Cheryl Nolte via text (772) 468-0123 or email speechreader1@gmail.com to register. Cost for supplies: $65. All Vero classes run from 10:15 am - 3 PM with hourly breaks and hour lunch at noon until 1 pm both days. Registration & payment required in advance. Lip Reading 101 on Tuesdays and Thursdays starting April 23 through May 9th, Noon until 2 PM. all students who complete the course. Increased confidence – easily feel part of a group because you understand what was said. Do you wear hearing aids or know someone who is hard of hearing? Or perhaps you know someone looking for a helpful skill in all environments? Lip reading is a valuable communications skill, helpful for those with or without hearing loss. Ever wonder if Sherlock Holmes read lips? I am sure that lip reading, a valuable skill in life, includes aspects of being like a Sherlock Holmes! Come and find out how to lip read and be like Sherlock. Lip Reading can be a fun activity for all ages and a skill that only gets better with practice and becomes useful for so many aspects of life. Picture yourself being a nurse or Doctor, reading the lips of a patient who can mouth the words but due to a stroke or throat disorder, can’t talk; a worker, able to read the lips of others out of earshot, or a teacher able to read the lips of a student who is whispering and shouldn’t be talking; or even a parent, able to read the lips of others, child or not. On the one hand, it teaches us to carefully enunciate our words, and as a listener, it helps us anticipate or predict what will be said. Keep in mind, that there are inaccuracies in lip reading, as with many other skills, and jumping to conclusions or making assertions about what you may have read on the lips of someone is not a good idea. The primary purpose we are learning lip reading today is to help those with hearing loss or deafness. It helps them better understand and communicate, and is a skill valuable in many ways throughout life. NOTE: Classes are limited to 10 students. A Certificate of Completion will be given at the end of the course. Classes vary, depending on if they are two day "marathon" classes, or more intense classes scheduled two days a week for 2 hours each, for three week periods. Cost, which includes the notebook, lesson materials and supplies, is $65. See above for schedules in the various locations the courses are offered. To register after deciding which course you want, Contact Lion Cheryl Nolte via text (772) 468-0123 or email speechreader1@gmail.com to register. Cost: $65. All Classes: To register, Contact Lion Cheryl Nolte via text (772) 468-0123 or email speechreader1@gmail.com to register. Cost: $65. See the Application form for Lip Reading on this website. At each session, you will want to bring a face mirror (bigger than a compact), notebook and pen and pencil, and a highlighter is suggested. 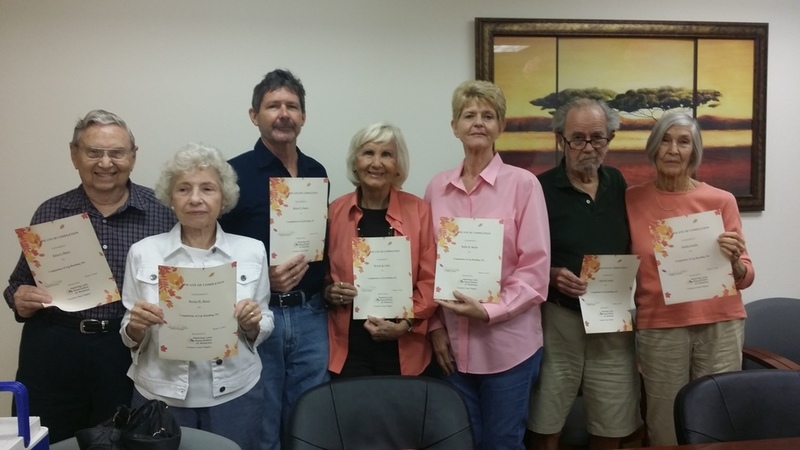 Donations for the class, payable to Treasure Coast Chapter, Hearing Loss Association, $65. The Chapter is providing the instructor, as a volunteer.